Today held the biggest sporting event of the year in the US and for those who weren't able or willing to shell out thousands of dollars to catch the game at the stadium, watching at home was the next best thing. That means taking in all the new ad campaigns that revolve around the event. 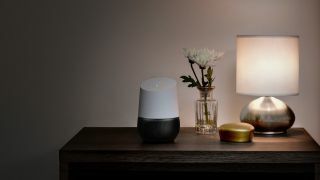 And among all the excitement, Google found an ingenious way to make its campaign for the Home devices work very well for the company. In the very touching ad, people say, “Okay, Google,” to make the Home units light up. This simultaneously activated numerous Google Home devices all around the nation. Minutes later Twitter was inundated with comments on how the ad triggered their own devices at home. See how you can stream Super Bowl 2019 online for free. As it turns out, the units in viewers’ homes tried responding to the voices in the ad as if they were real people, causing some units to have hilarious meltdowns. And, for a change, Alexa didn’t follow suit. Amazon Echo devices were quiet this time round, unlike the time when a news story about a Texan six-year-old ordering a dollhouse prompted a not-so-smart Alexa-powered shopping spree to ensue in San Diego. You can watch Google's Super Bowl commercial below. Read our review of the Google Home device.